Dr. Mark's Holistic Health Blog is somewhat of a journal of my ongoing posts to this website. This blog lets you know whenever I post a new page to this site, giving you new, interesting and enlightening information about holistic health. From crippled arthritic to marathoner: Dr. Mark William Cochran's holistic healing journey. 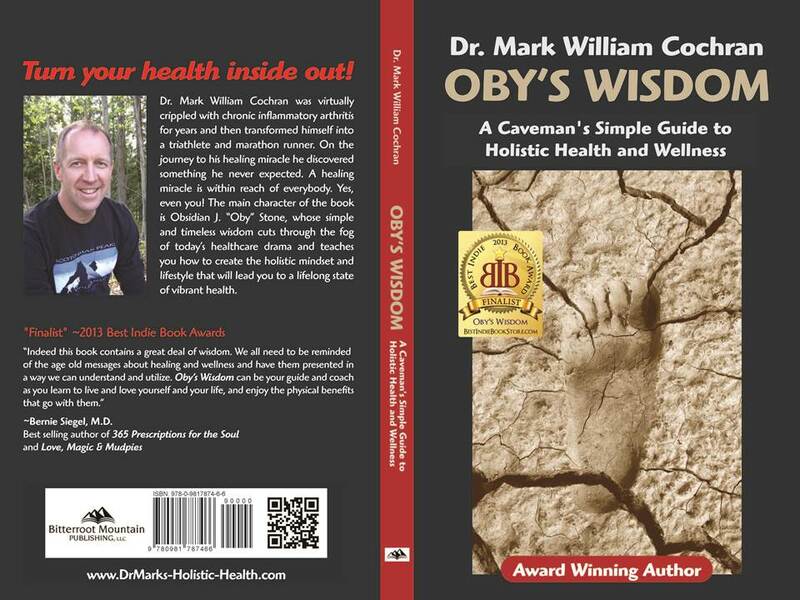 Continue reading "Dr. Mark William Cochran - My Holistic Healing Miracle Story "
The First wellness book you should read: "Oby's Wisdom!" Continue reading "The First wellness book you should read: "Oby's Wisdom!"" My TED Talk: "Change Your Story, Change Your Health!" A video of my talk at TEDx Spokane, March 2013, "Change Your Story, Change Your Health!" Continue reading "My TED Talk: "Change Your Story, Change Your Health!"" Continue reading "Would you rather be a clunker...or a Ferrari!" Holistic Health and Nutrition: What’s the Most Important Nutrient? Holistic health and nutrition: Are you getting enough of the MOST important nutrient? Continue reading "Holistic Health and Nutrition: What’s the Most Important Nutrient?" Continue reading "Holistic Quickie: Healing is Like a Cloudy day. Dr. Mark William Cochran"
Holistic Quickie - You're Cutting Down on Processed Food. What About Processed Air...? Continue reading "Holistic Quickie: How to Cut Down on Processed Air"